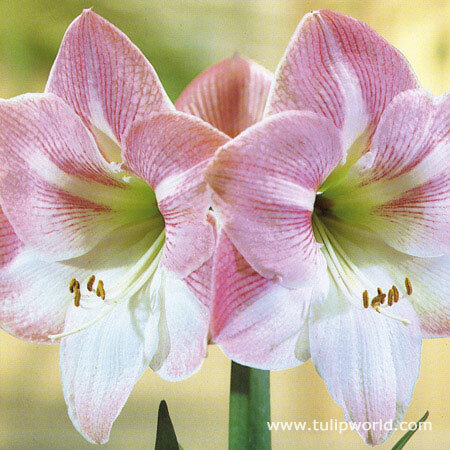 These large pink and white flowered amaryllis will add the perfect touch to your holiday decor! This one single bulb will give you up to four flowers for those dreary winter months. It needs very little watering. It can take 6-8 weeks for them to bloom. 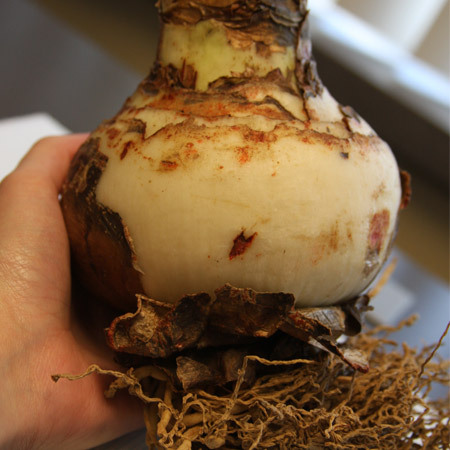 Your amaryllis bulbs will bloom again and again, provided they are properly cared for. After the bulb finishes blooming, cut off the flower stalk close to the base. Keep the plant moist and add house plant fertilizer. Stop watering in August, and allow the plant to dry out completely in the sun. In early fall, remove and clean the bulbs of old scales and dead foliage. Roots should be fleshy and not damaged. You can re-pot when you are ready to restart the process. Great bulbs. Loved the quality. Beautiful healthy bulb. Love the flower. The bulb is producing growth, buds have developed and I am awaiting the beautiful flowers, which are not the usual solid color.